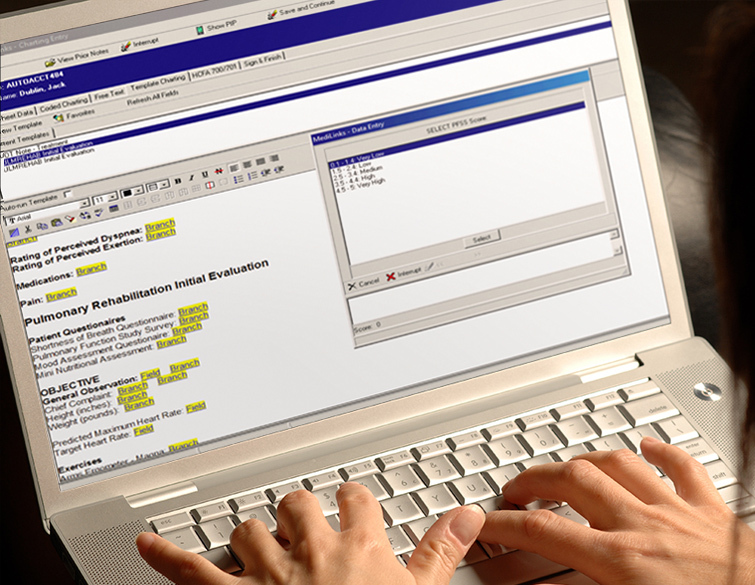 WellSky Rehabilitation (formerly MediLinks) helps you provide optimal patient care with software solutions that are designed and optimized to meet regulatory requirement changes, boost staff productivity, and increase revenue. Simplify and streamline complex patient management workflows with our acute rehabilitation & respiratory solutions. We help your business ensure patients receive optimal care by using real-time data to determine the appropriate level of staffing, reduce overtime, and save your facility money. 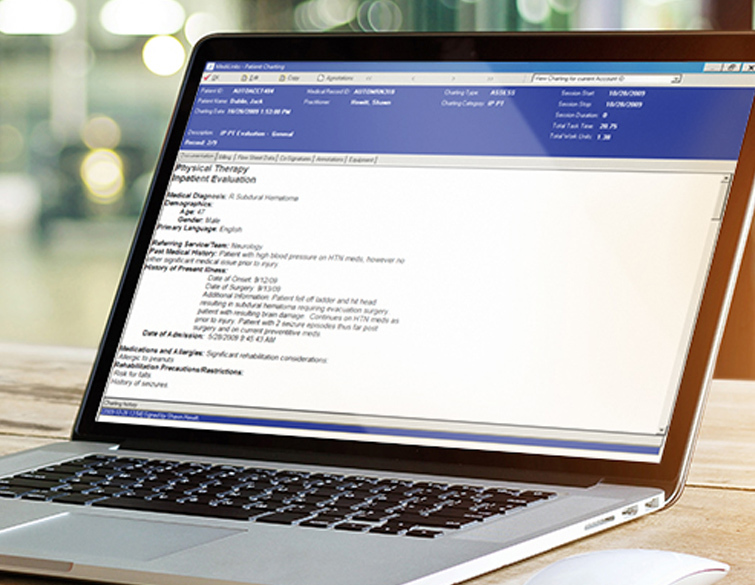 Ensure compliance with configurable, defensible documentation and charge capture. With WellSky, you can create clear, legible charts; increase accuracy and speed of documentation and charge capture; simplify and manage treatments and orders; and track patient activity and progress on time, every time. Chart effectively and efficiently with documentation templates specifically designed for acute rehabilitation and respiratory care. Capture patient information and transfer data automatically from one template to another with WellSky’s solution that seamlessly integrates with any EHR. Transform data into meaningful, actionable information with WellSky’s acute rehabilitation and respiratory reporting capabilities. Manage costs by reviewing department revenue, number of procedures performed, and work units required. Measure and analyze performance by tracking treatments ordered, completed, canceled, or missed. Improve labor management, make patient assignments a breeze, and quickly and easily assess your patients so your team can focus on what matters most – delivering exceptional care to patients. 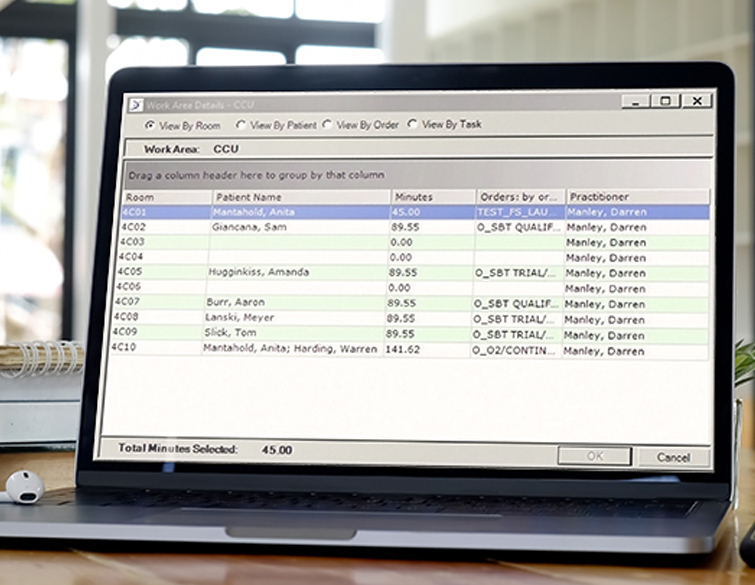 Track therapist total productivity with WellSky’s automated charting and billing tools. 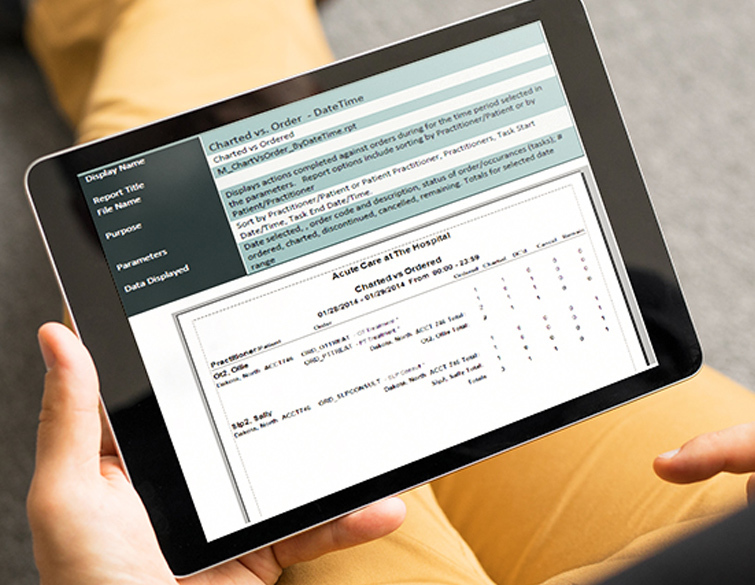 Our experience working with the top rehabilitation and respiratory providers across the country, combined with clinical experts on staff, has resulted in the creation of comprehensive documentation templates and supported workflows that are efficient and compliant. 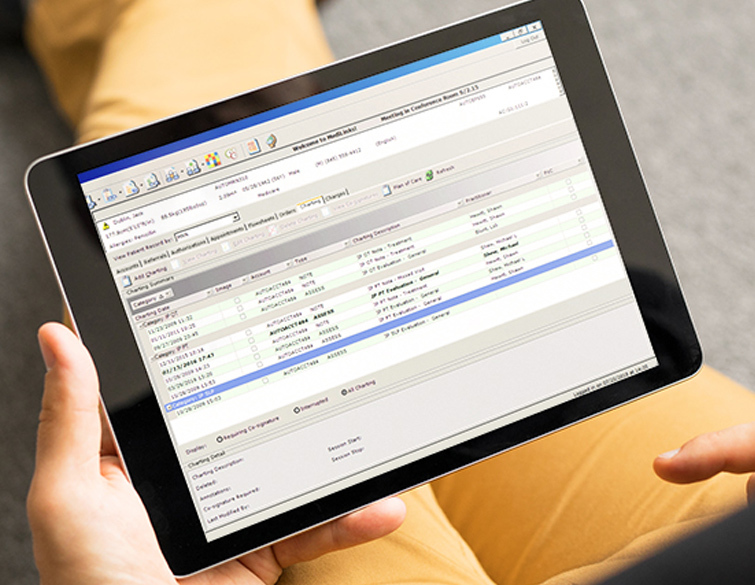 WellSky’s acute rehabilitation & respiratory solutions interface with systems like ADT, Orders, Narrative Results Out, and many others to help you streamline your workflows and information management. 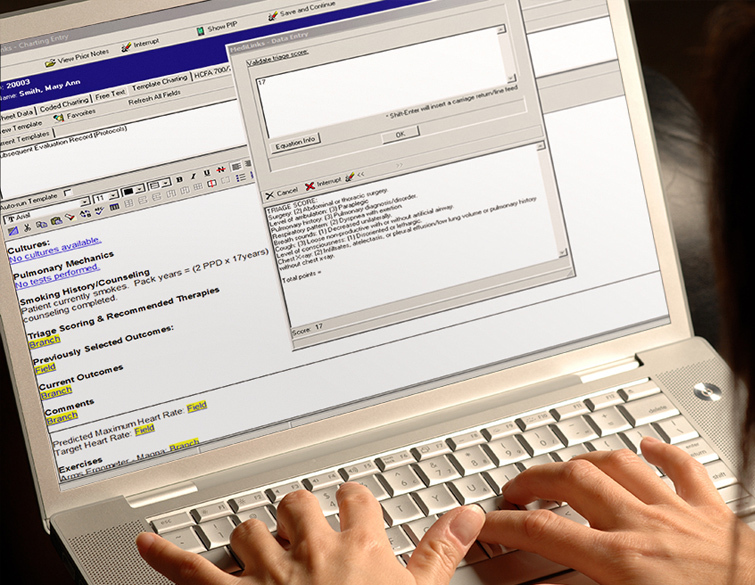 Data-entry errors often lead to inaccurate reimbursements. That’s why WellSky retrieves data electronically, right from the vent to eliminate costly errors. We’ve partnered with device connectivity provider, Bridge-Tech Medical, to ensure your ventilator data is always current and accurate. WellSky provides solutions which facilitate management and prioritization of orders and specific treatments that must be done for a given patient. Our tools ensure compliance and timely completion of orders and documentation for evaluation, treatment, and discharge management of a patient’s problems, goals, and overall plan of care. Leveraging 25 years of healthcare experience, we deliver a complete solution for the acute care rehabilitation and respiratory settings. Reduce costs and ensure optimal staff levels at all times with WellSky. Our WTS uses your EHR’s interfaced orders and assigns therapists based on relative value units – helping you properly staff your department. In the last 12 months, 20,462 practitioners have trusted WellSky to provide more than 22,269,212 treatments. In the last 12 months, rehab therapy providers have served more than 2,346,204 patients using WellSky across 1,436 facilities.